It's been awhile since I've posted a side dish! I wanted to share another flavorful dish that is lovely enough to add to your Sunday dinner spread, but easy enough that it works for weeknights too. 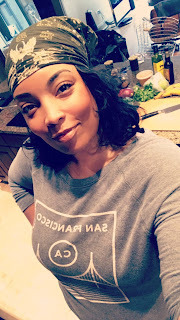 I dug this one out of my vault, otherwise known as "recipes I meant to blog but ran out of time and moved on to the next thing." That struggle is real. Nonetheless, glad I came across it. It's actually interesting going back to look at some of my older posts & photographs, I can really see the progression over the past year to where I'm at today with my most recent dishes. I'm more than a little excited to think about where I could be in another year if I keep up the hard work. For that reason, it's pretty humbling to receive the praise and recognition I have from the online blogging community in my first year. 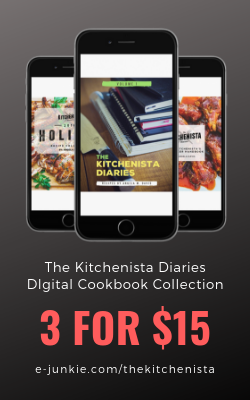 Check out this awesome mention of the Kitchenista Diaries in Colored Girl's Confidential's review of 23 Fierce Female Bloggers to Follow in 2013! Couscous is one of my favorite sides and it's a great choice when you want to do something other than rice or pasta. It's quick to prepare and can be seasoned to compliment any main course or jazzed up to stand alone if you'd like, just like rice. There are a few different varieties so try them all to figure out what you like; some work better for certain dishes vs others. The first time I made this dish was to serve alongside Moroccan braised lamp chops. Perfect combo. This lamb chop dish ended up being the inspiration for a skillet chicken dish that I'll be sharing with you guys shortly! My favorite type of couscous is the Israeli version, which is shaped as tiny pearls. I typically cook couscous in some kind of broth or stock, then season with spices or herbs that go with whatever I'm serving, sometimes adding chopped roasted veggies and a little lemon or lime juice. Cinnamon, golden raisins, lemon and mint are common ingredients in Moroccan dishes, but due to an aversion to raisins in my food I'd been a little scared to try the raisins. Here's the thing. Black raisins gross me out. Long story short, every time I ate Raisin Bran as a kid the black raisins looked like dead bugs to me. Haven't liked 'em ever since. So because of that, I'd never tried raisins in my dishes. Clearly I've been missing out! The golden raisins are a tad bit sweeter than regular raisins, and I find them to be softer. They plump up and add just the right amount of sweetness to this couscous, and the fresh mint and lemon are a bright contrast to the warm cinnamon. And because couscous can be served warm, room temperature or cold, it's a great dish to make ahead of time. Try serving it with a simple seared fish filet, braised chicken or lamb, grilled shrimp, or even by itself as a cold salad! Whatever you do, don't limit yourself to the instructions on the box. Find a way to make it your own and have fun coming up with your own signature side dishes! To toast almonds: Spread almonds in a dry pan over medium low heat. Toast the almonds, shaking the pan every 30 seconds or so to prevent burning. Almonds will begin to turn fragrant and golden brown after 3 – 4 min. Remove toasted almonds from pan and set aside. To prepare couscous: Over medium heat, add 1 Tbsp olive oil and cinnamon stick. Once oil is hot, add shallots and sauté until softened. Add couscous, stirring constantly until lightly toasted (2 -3 min.) Add 2 cups broth, bring to a gentle boil. Reduce heat to low, cover and simmer 8 min. Add raisins and remaining broth. Allow couscous to finish cooking uncovered for a couple minutes to absorb all liquid. Remove from heat and discard cinnamon stick. To finish, stir in ground cinnamon, lemon juice, zest, mint and cilantro. Season the couscous to taste with a pinch or two of kosher salt. Top with toasted almond slices. Drizzle couscous with remaining olive oil and serve warm or at room temperature. Enjoy! 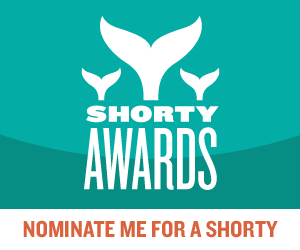 If you enjoy my recipes & food related posts on Facebook, Twitter, Tumblr and Instagram, please cast a vote for me in the 2013 Shorty Awards! I'm going for an award in the #food category, which recognizes excellence and innovation in social media. I'd appreciate your support!